USB-C and lots of ports and headers. Wish the CPU power connector was in a better spot. Handles my RAM nearly at its native 3200MHz even though it's not officially supported. Installation was fine, headers and the like are sensibly placed. Seems stable so far. Only a single BIOS image, was is a slight minus point. BIOS is quite configurable though. I also liked the two m.2 slots. I'm saving the faster m.2 slot for later when I decide to grab a proper fast nvme card. good value! was back ordered. lots of room for expansion in the future. Solid MoBo, the inclusion of a USB type C port is excellent. Only having 1 of the 2 chassis fan headers be PWM is less excellent. Best micro ATX AB350 chipset based motherboard out there for AM4. ASRock support has been very good and even supplied me beta bios versions to work with the RAM speed issues with the Zen platform, so far so good, lots of features: 4x RAM slots, 2x M.2 slots, sleek look, very sturdy. 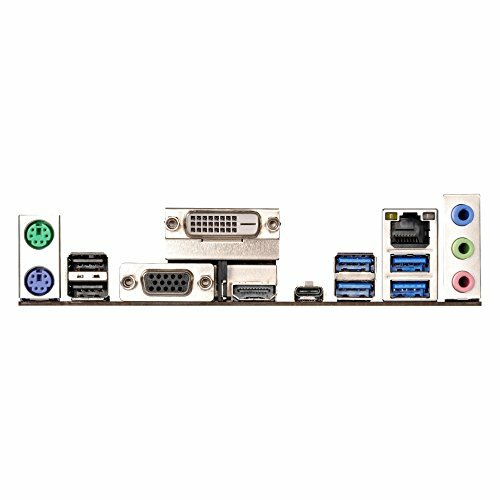 Happy to find a Micro ATX AM4 board for a decent price. No issue with the BIOS or getting my parts installed except for my Crucial MX300 M.2 SSD not beig compatible. 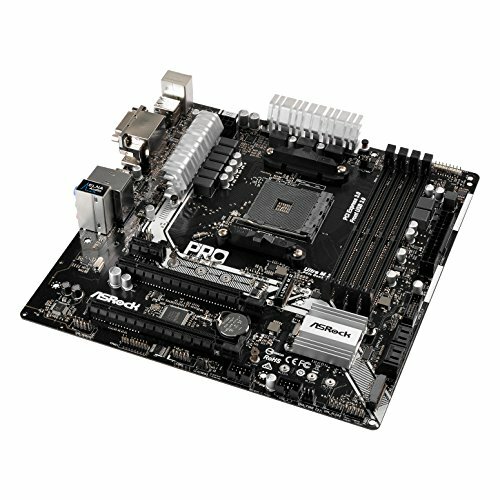 There is a list of compatible parts for RAM and M.2 drives, both the Ultra M.2 and M.2 SATA slots on the motherboard, on their website. Be sure to check for your parts on that list before you order them if you are going to use this motherboard. Colors were great for my build, as I was going for a monochrome sort of look. Great mATX B350 choice. Has a really sleek, classy looking black & gray aesthetic to it, no fancy ****, all business. Crossfire capable, two m.2 slots, and the VRM heat sinks are pretty damn beefy for the price your paying, definitely an overclocking plus. Overall I think I made the best choice.